Senators yesterday passed a bill that would update the laws relating to the regulation of investment funds, to bring the legislation into harmony with international standards and best practices. The Investment Funds Bill, 2019 expands the scope and powers of the Securities Commission of The Bahamas in regards to regulated persons and parties associated with investment funds in an effort to protect investors, the public and the reputation of The Bahamas. Attorney General Senator Carl Bethel said vthe thoroughly modernized bill puts The Bahamas at the leading edge of responsible and effective regulation. “This particular bill is focused on what might be referred to as collective investment vehicles generally, and specifically what we call investment funds. This bill, once enacted, will place The Bahamas at the leading edge of effecting regulation and necessary compliance measures. 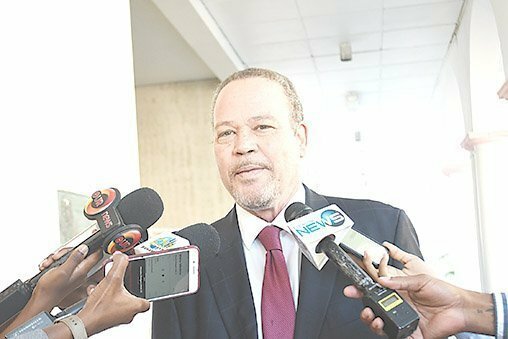 Compliance not only in terms of the rules and regulations that would apply domestically, but compliance in terms of the posture of The Bahamas in terms of our relation with the international community,” Bethel said in the Senate Thursday. The bill repeals and replaces the Investment Funds Act, 2003, bringing the legislation in line with international standards established by the European Union (EU) under the Alternative Investment Fund Managers Directive (AIFMD). Features of the new bill include the introduction of requirements for fund managers and regulatory oversight for custodians; the introduction of triggers for the licensing of investment funds; the definitions of “Bahamas-based” and “non-Bahamas-based” funds, which ensures compliance with the EU’s substance requirements; the introduction of provisions to allow international administrators without requiring them to hold a license in The Bahamas; and the establishment of a regulatory regime compliant with the EU under the AIFMD.